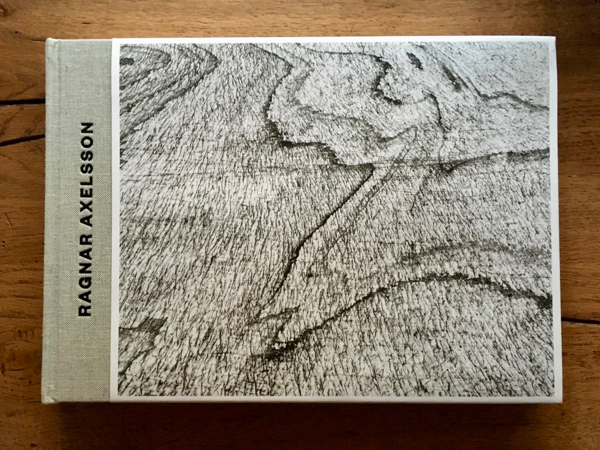 “Glacier” is the title of what must be the magnum opus of Icelandic photographer Ragnar Axelsson, also known as Rax. Previously his published photography has been more orientated towards environmental portraiture and reportage, through acclaimed books such as “Faces of the North” and “Last Days of the Arctic”, but “Glacier” is pure landscape. It isn’t picture postcard landscape though - far from it. Glacier is a vast collection of aerial photography of Iceland’s ice fields. For the greater part the photography discards any sense of scale and proportion, and presents a near abstract, otherworldly view. Photographing in black and white further removes any easy connection to reality, and emphasises even further the quite unbelievable forms shaped by the forces on the ice. The net effect is captivating. Far from being a set of exercises in graphic composition, the emotional impact is remarkable, encompassing everything from fascination to - in the case of some of the volcano shots - terror. In much of his previous work, Rax did not seem to place an undue emphasis on technical quality, at least not to the extent of discarding photos for purely technical reasons, but here, the precision and clarity is impressive, and indeed important. The fact that as far as I know most were taken from a pretty unstable light aircraft makes them all the more impressive. That it is aerial photography may put some off, but this is emphatically not some “Iceland viewed from the sky” kitsch. It is more like a distant relative of Edward Burtynsky’s work, and equally affecting. Clearly there is an environmental message as well as an aesthetic dimension underlying “Glacier”. I have absolutely no problem with that. But then, why deliver the book wrapped up in a pointless plastic wrapper, with a plastic “Glacier” sticker attached to it, both of which need to be ripped off and thrown away ? Yes, it protects the integrity of the (gorgeous) design concept, but in doing so it totally undermines the message. I am so, so fed up of the torrents of plastic running through this and every household every day. I appreciate it isn’t easy to find a solution, but if it was easy, we wouldn’t have such a major problem. Did the idea of recyclable paper outer wrapper occur to the book designer, I wonder ?